Anyone know of any decent jerkbaits in the 100-130mm size range heavier than 1/2oz or 14g's? Preferably 3/4 oz. Picked up a live target smelt, but want something heavier and suspending with some bright colours that I can launch from shore. Maybe Bomber Long-A Saltwater or Smithwick Suspending Super Rogue? Even a Rapala X-Rap XR12 should be good. Look for jerkbaits that have an internal weight transfer system. Looks like there are a couple of lucky craft pointers in larger sizes? Thanks! Ordered a 110SP Flash Minnow..it's 17 grams! I'm a Husky Jerk guy but they are a bit of a challenge casting into wind and the #12 XRaps are a bit too fat for what I want. Are you using nanofil line? If not, give it a try in 10lb. You'll be amazed at the distance you can toss an HJ12 or an xrap. That just happened to be the first one that came up in a search, there appears to be some other options? the twitch stick 10 is 5/8 ounce. The only sinking jerkbait on the entire market, can also be modified to suspend by clipping the weight. Though expensive, they are the best jerkbait I have ever thrown...they are better than the vision 110's IMO and a shadow rap feels like a piece of trash in comparison. 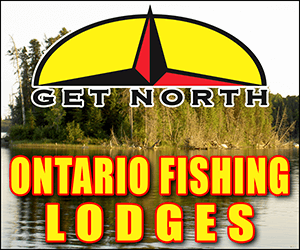 They are handmade as well by a guy in St Catherines, and if you ever experience any issues at all, he responds immediately and will replace the bait no questions at asked. The heaviest one that I have used is the Megabass vision 110magnum. It weighs in at 5/8 and is pretty sweet. You can wrap a small piece of solid wire solder around a hook shank and get a rate of fall or get different suspending angle. It comes in different diameters ( weights per inch } so you can dial in what you want easily. Just a couple of videos on knock off lures and pricing? suspendots and suspend strips work well too if you are not worried about changing the action of the bait. Nice looking lures! Size and weight are just what I'm after. Thanks! Ill take your word for it. Placed an order for one. I dont think you would regret buying one at all. They cast a mile and damn do they ever catch fish. Also picked up a Jackall Rerange 130 size. The weight transfer system in it is so smooth on the cast! Flies very straight tail first, no wobble in the air. Probably the longest casting jerkbait I’ve ever used.